Glass Herbal Vape Lifting Vaporizer. Titanium Nail Dabbing Tip. These NEW silicone nectar collector dabbing kits are made from heat-resistant silicone, which makes them crushable and nearly indestructible, ensuring they are much more user friendly compared to the glass varieties. Stainless Nail / Dabbing Tip. Green Silicone Dabbing Pot - 3cm. Glass WigWam Dish. High Quality Glass WigWam Dish - 4cm. Glass Nectar Collector Vaping Kit. 10mm Glass Tip - 6.5cm. 10mm Stainless Steel Nail/Tip - 4cm. 3nd generation Titan 3 Vaporizer kit Hebe Dry herb E cigarette Burn dry herbs Vaporizer pen with 2200mAh Battery Lcd display VS. No more lighters and papers! this amazing vaporizer will save you a lot of ground material! The NimbinVap has been designed by two Mechanical Engineers from Australia. The vape is a flexible unit that can be added to different devices to modify them for vaping. Not requiring any power the NimbinVap 4.1 just needs a lighter as a heat source. “I have an effective age verification process that satisfies due diligence as described in the Business Companion guide for online age verification checks and I will not sell to persons that are under 18 years old”. SHORT CIRCUIT PROTECTION. AUTO CUT OFF TECHNOLOGY. 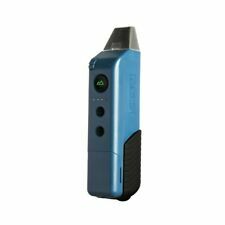 Summit Summit by VAPIUM is a rugged portable vaporizer that is as powerful as it is easy to use. Magic Base serves as a replaceable atomizer for the Magic Pen Vaporizer Magic Coil serves as a replaceable coil for the Magic Pen Vaporizer. 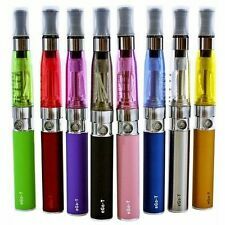 The Puff Magic Pen Vaporizer is small and discrete for use anywhere It can be used with concentrates and waxy oils. The Genie Tool Kit is the perfect cleaning/maintenance/tool kit for use with all of your smoking needs. 5 x Genie Alcohol Cleaning Wipes. 1 x 16cm Black Cleaning Brush. 1 x 10cm White Cleaning Brush. Large Glass Nectar Collector Dabbing Kit. Stainless Nail / Dabbing Tip. Green Silicone Dabbing Pot - 3cm. Glass WigWam Dish. High Quality Glass WigWam Dish - 5cm. 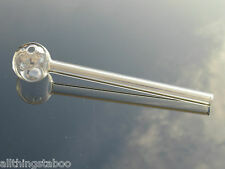 10mm Glass Tip - 8cm. 10mm Stainless Steel Nail/Tip - 8cm. Coming to the Micro g pen itself. A mouthpiece that attaches to the head for inhaling. A well designed box. It is an all round vaporiser that can be used both with herbs and concentrates. The speaker sounds average but nevertheless at this price point it is much appreciated. This compact sleek electronic vaporizer is great for a quick hit on the go. Maybe we would say so, but we think this is simply the best vaporizer on the market! Now you’ve got a real alternative to smoking with this stylish WISPR 2 vaporizer. ·Flexible foldaway silicone mouthpiece available. High Quality Glass Nectar Collector Dabbing Kit. Titanium Nail / Dabbing Tip / Herb Adapter. Green Silicone Dabbing Pot - 3cm. Glass WigWam Dish. Glass Dish - 5cm. Titanium Nail/Tip - 8cm. Glass Tip - 8cm. Why not check out where it all began with one of the original portable vaporizers, the standard-setting IOLITE?. With a butane-gas power source, the IOLITE is light to carry and is specifically designed to give you a lighter vaporizing experience. The Sonic Vaporizer is an advanced handheld unit that is capable of vaporizing your favorite herbs within seconds. Unlike many other portable vapes that burn your herbs rather than vaporize them, the Sonic Vape utilizes advanced heating technology to produce only the best quality vapor. A vibration alert as well as a LED (that changes colour) keep you updated on the current status of the vaporizer. The Crafty is Storz and Bickel's (the manufacturer of the Volcano vaporizers) smallest portable unit to date. Pair Of AA Battery Caps<. Dirty filters hindering your Volcano experience?. For use with both the Solid Valve and Easy Valve Volcanoes. It's great using your Volcano to get the most out of your vaporizing. This is easily solved with new filters that won't break the bank. The PLENTY vaporizer is a robust, hand held plugin unit made by the prestigious Storz & Bickel, manufacturers of the Volcano vaporizer. PLENTY Vaporizer Full Kit Includes 1 x PLENTY hot air generator - 240V AU Edition.